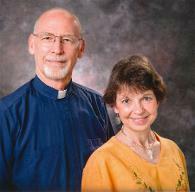 For many years, Zion has supported the ELCA missionary work of Reverend James and Carol Sack in Japan. Zion members make financial contributions throughout the year that is combined with that of other supporting congregations and the ELCA and is forwarded to the Sack's for their work in Japan. The Sack’s and their professionals staff a counseling center on the campus of the Japan Lutheran College and Theological Seminary in Tokyo. The center, named the Personal Growth and Counseling Center, provides a place for counseling and spiritual support for mostly students suffering from stress and mental issues in their lives. The Sack's express their gratitude for Zion’s support and correspond periodically with Zion to keep us abreast of their ministry.